Each week, The Columbian offers a brief snapshot of an interesting Clark County business. Send ideas to Mary Ricks: mary.ricks@columbian.com; fax 360-735-4598; phone 360-735-4550. Owner: Robert Hegewald, owner and president; Adam Hegewald, general manager. Address: 713 W. 11th St.
What the business does: Hydraulics Inc. manufactures custom hose assemblies for many automotive and industrial applications and sells components and accessories for hydraulic systems, which use fluids to create movement for industrial applications. The service department is capable of installing or modifying hydraulic systems and has a large inventory to support industrial services. 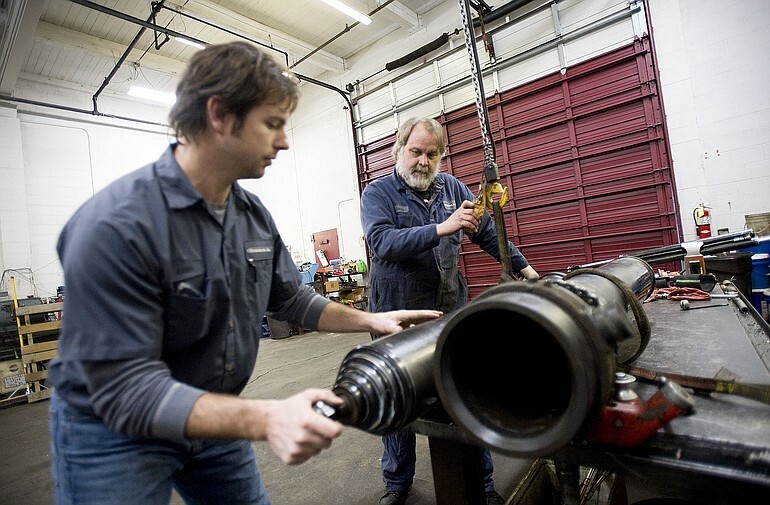 Robert Hegewald established Hydraulics Inc. nearly 25 years ago as a spinoff of his father’s engine repair and machine shop, Hegewald Inc., established in 1937. Robert’s son Adam Hegewald is now general manager of Hydraulics Inc.
How has the economy affected your business: Adam Hegewald said the service department has seen a surge in repair work from customers seeking to save by maintaining current equipment, rather than replacing parts. This repair mind-set has stabilized sales of some retail products, like hoses and hydraulic pump sales. Many of the company’s customers were in construction, however, which was hit hard. That translated to fewer sales. Sales to other sectors are rebounding fast. Greatest challenge: Hegewald said his greatest challenge is getting potential customers in Clark County to think locally, instead of going to superstores. What’s ahead: Hegewald has a dream to grow the family business. Year established in Clark County: 1987.